Uco Valley is the Napa of Argentina – as famous for its incredibly lush Malbecs as Wine Country is for full-bodied Cabs. And Mauricio's bringing this celebrity Malbec directly to Angels – packed with delicious flavors like ripe, juicy black fruits and an oh-so-smooth finish. Mauricio went to the Uco Valley to prune, pick, press, ferment, bottle and age this luscious Malbec with incredible amounts of TLC... so you can really taste what makes the region special – nothing more, nothing less. As an Angel, you're getting top-shelf Malbec for a third of the price you'd ever see it for in the shop (if you could find a bottle to begin with). This red is an instant classic. Mark our words! Your fan-favorite, full-powered Pinot Noir from the "Napa Valley of the South." Just shy of L.A., Sta. Rita is famous for its gorgeous cool climate wines that sell for $50+ a bottle. Matt made a voluptuous Pinot, harvesting celebrity fruit from two celebrity vineyards and aging the juice in seasoned French oak barrels – for a full year! This is a top-shelf wine that YOU fund from scratch – be proud. 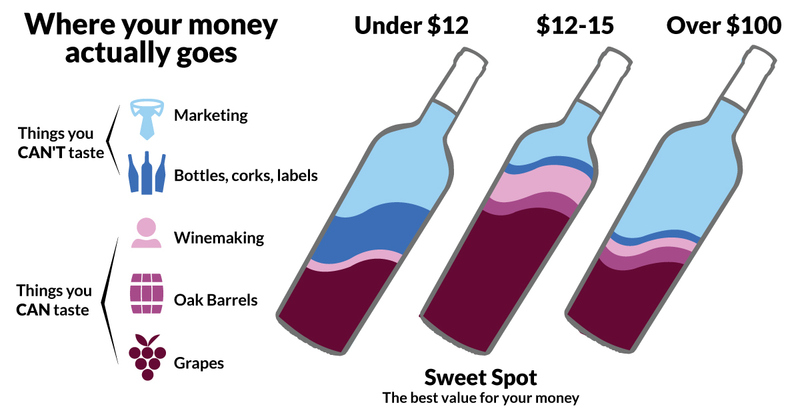 One of California's most expensive wines is yours for a bargain! Ken's ripe and rustic Napa Valley Merlot is back and more velvety than ever! It's layered with flavors like red cherries and jammy berries, with a long, smooth finish. Ken combed the Napa Valley to find the perfect fruit for this Napa staple, cold-soaking grapes before fermentation and giving them extra time on the skins afterward for elegant, balanced flavor. Not only is this man a Napa legend (with 40 years+ of experience in the region! ), he's one of your very first winemakers. Ken's made you Merlot since the beginning - don't miss your iconic Angel treat! Last year's vintage took a Silver at the 2018 San Francisco Chronicle Wine Competition. You can expect those same award-winning flavors this year! Stephen's 95%-rated red is back – and it's full of big, juicy flavors like ripe raspberries, blackberries and a nice long finish. Gathering seven Calaveras County varietals, Stephen used small-production winemaking techniques and barrel aging to bring you your oh-so-easy-drinking red. Your red blend is one of Stephen's favorites to sip with cozy, hearty dishes as the leaves start to fall. "I'm thinking beans, sausages and a rich sauce would make a perfect pairing." This is one of your favorite Cabernets of all time. Over 50,000 Angels have tasted Stephen's easy-drinking, decadent red - you can bet it sells out quick! Brimming with ripe juicy fruit flavors like plums and rich berries, this year's luscious red will impress a crowd with one sip. Take this jammy red along for a festive BBQ with friends - and sip while you eat a few morsels of charbroiled steak. by Ken & Derek . This intensely drinkable Zin brought 2 famous winemakers together – and it's been pleazin' 100,000 Angels since. What's it like? For starters, seriously velvety – packed with rich flavors like cherries, berries, plums and super-smooth dark chocolate. And the nice long finish shows exactly why Sonoma's Dry Creek Valley is one of the best places to grow Zinfandel in the world. Your funding brought made this incredible partnership happen – that's why this rich Sonoma red is yours for such an insider price.